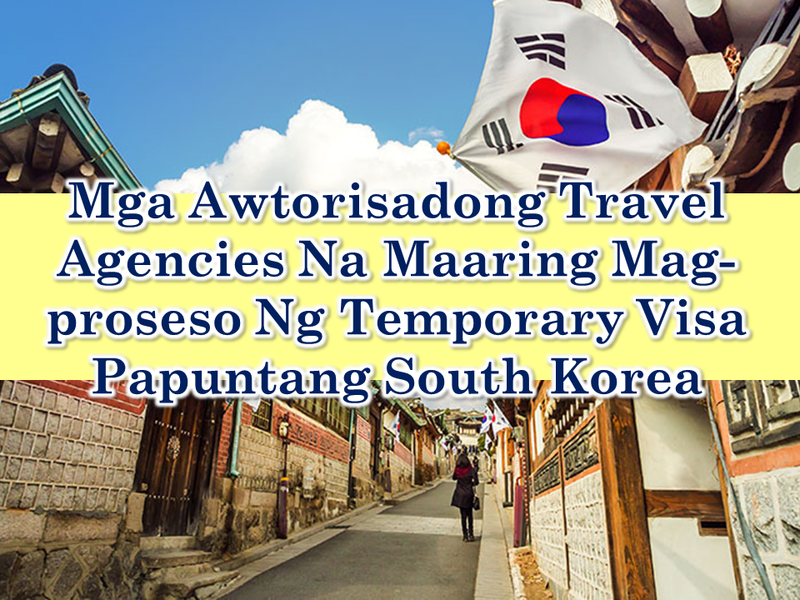 Due to the increase in the number of visa applicants for South Korea, the Korean Embassy in the Philippines delegated select travel agencies to process visas next month. 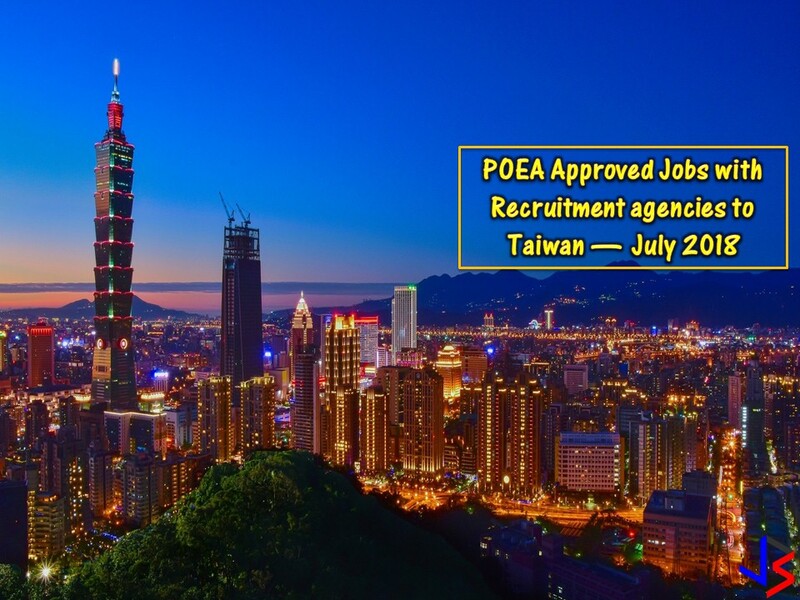 The only walk-in applicants who will be accepted are spouses and children of Korean Citizens, holders of visa issuance numbers, government employees with official business trips, and those with humanitarian reasons to travel to Korea urgently. 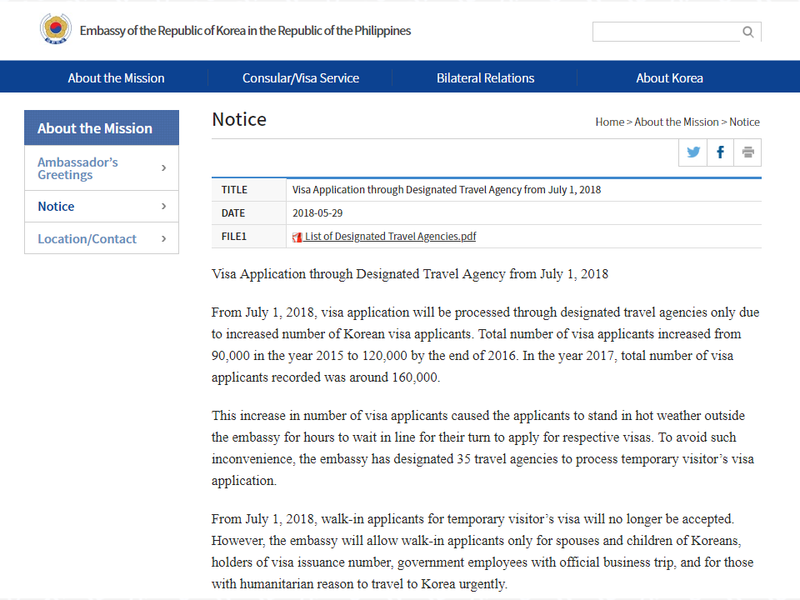 Visitors visa walk-in applications will not be allowed starting July 1. The Embassy of the Republic of Korea to the Philippines posted a list of designated travel agencies to process temporary visitor’s visas to their website today. Blue Horizons Travel and Tours Inc.
Come on Phils. Golf & Travel Agency Inc.
Island Resort Club Tour Services, Inc.
JTB Asia Pacific Phil. 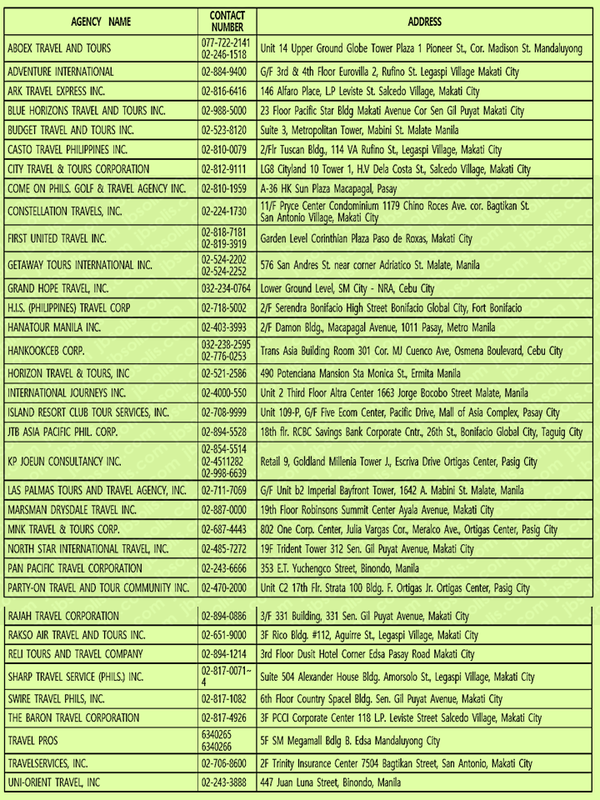 Corp.
Las Palmas Tours and Travel Agency, Inc.
MNK Travel & Tours Corp.
North Star International Travel, Inc.
Party-on Travel and Tour Community Inc.
Sharp Travel Service (Phils.) 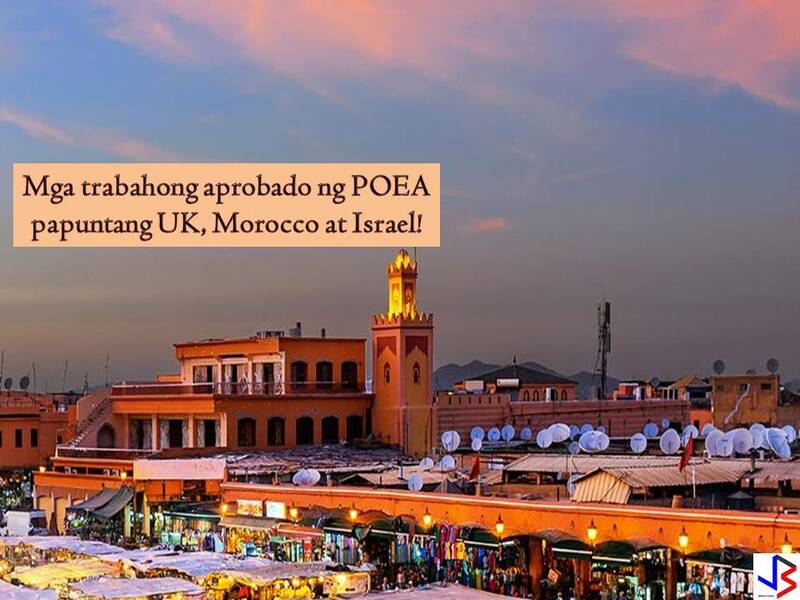 Inc.
“[The] increase in the number of visa applicants caused the applicants to stand in hot weather outside the embassy for hours to wait in line for their turn to apply for respective visas,” the Embassy said in a statement. 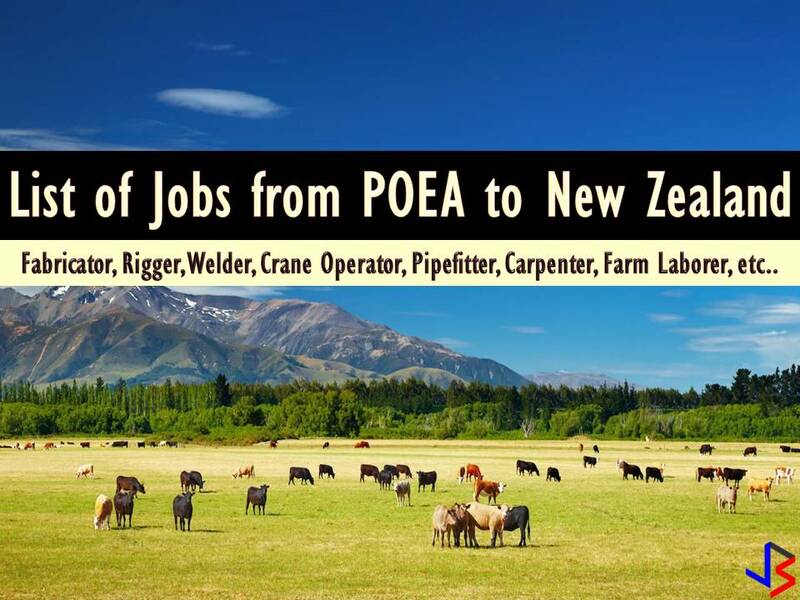 The agency reported that visa applications have increased since 2015. There were approximately a total of 90,000 visa applications in 2015, 120,000 in 2016, and 160,000 in 2017.